The boys soccer team pushed their league record to 7-0 this past week and secured the league championship for the seventh year in a row. Sisters tied 1-1 with the Huskies at Sweet Home on Tuesday, October 11, and two days later edged Elmira at home with a 1-0 victory. In Tuesday’s game, Alec Gannon assisted Malachy Sundstrom for Sisters’ goal in the 13th minute. The Huskies evened the score 10 minutes later and the score held until the final whistle blew. 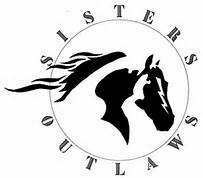 Sisters struggled to find chemistry and played the game without Asher Bachtold, Minam Cravens, Anson Ricker and Colby Simeral, four of the Outlaws’ starters. Bachtold was out with a sprained ankle, Anson was out due to a concussion, and Bachtold was on a college visitation. On top of that, Sisters lost Sean Willitts after his second yellow card. Gannon went out in the second half after his second yellow card and the Outlaws were forced to play a man down. Coach Rob Jensen told The Nugget that the Outlaws held it together and played as well as they could, but they just couldn’t put the win together. On Thursday, the Outlaws were down three starters as Gannon and Willits served suspensions for their Tuesday ejections. The team worked hard, and the chemistry on the field was much better. Sisters executed their game plan and shut down the Falcon’s attack. Some of the newer Outlaws to varsity action played solid games, and Jensen noted Brogan Petterson and Gabe Patton in particular. Keaton Green filled in at center midfield for Gannon and played a very smart game. The Outlaws scored at the 12-minute mark when Sundstrom crossed a ball to Simeral for an eight-yard shot. Sisters had many good opportunities after that goal, which included a few that ended in near-misses. The Falcons had very few looks at the goal as Cravens, Keegan Greaney, Andrew Mayes, and Patton did an outstanding job on defense. The Outlaws were to play at Junction City on Tuesday, October 18. On Thursday, October 20, Sisters will close out league play at home against Cottage Grove.